Honey contains natural nutrients and enzymes that have a variety of health benefits. This is one of the reasons honey has been used throughout history in many cultures. 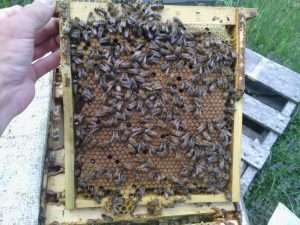 Today honey is used in various foods and as natural healing remedies. Here are some of many benefits of honey. Raw honey contains antioxidants called phenolic compounds. These antioxidants help your body to protect itself from cell damage due to free radicals. Free radicals are one of the contributing factors in aging. They also contribute to the development of chronic diseases such as cancer and heart disease. A study at the National Institutes of Health show that polyphenols in honey may play a significant role in preventing heart disease. It is amazing that there is so much in nature that heals, protects and nurtures our bodies. Raw honey can kill unwanted fungus and bacteria. Honey contains the antiseptic hydrogen peroxide. The effectiveness of the honey as an antibacterial depends on the type of honey. Some hospitals in Europe have used Manuka honey to fight infections. The ingredients in honey depend on which types of plants bees get their nectar from. What are phytonutrients? They are compounds found in plants that help protect plants from harm. They can benefit us as an antioxidant and anti-inflammatory. This overall helps to maintain good health. These nutrients do diminish as honey is heavily processed. That is one great reason to buy raw honey.